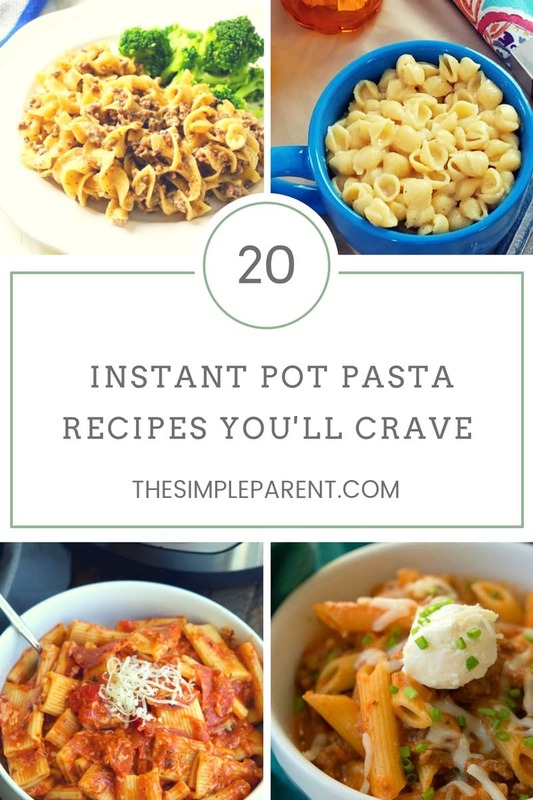 Home » recipes » 20+ Instant Pot Pasta Recipes You’ll Crave! 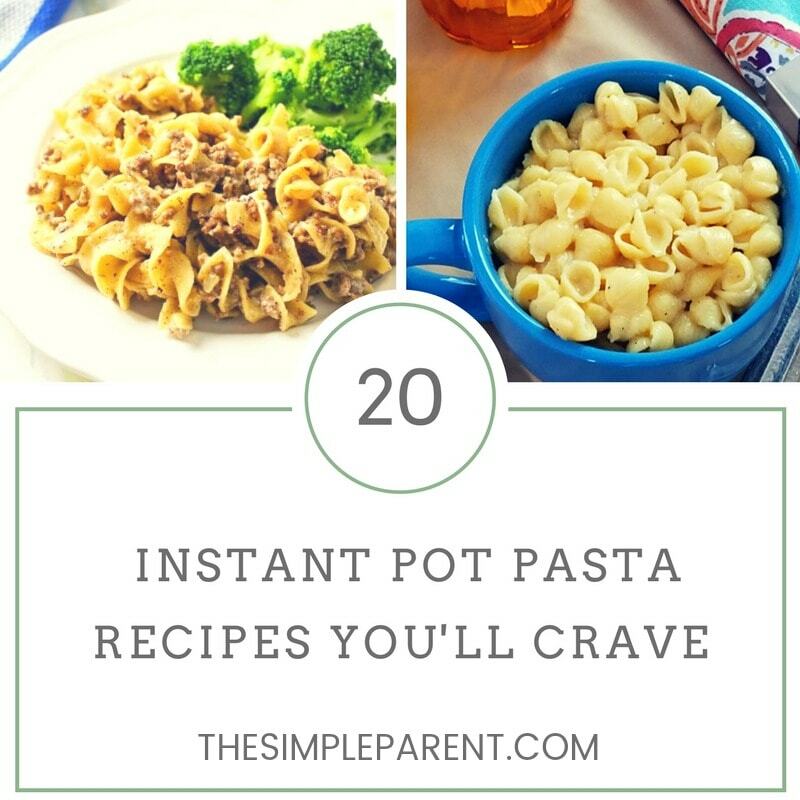 20+ Instant Pot Pasta Recipes You’ll Crave! Need an easy dinner idea? These Instant Pot pasta recipes have you covered! When it comes to Instant Pot recipes, it turns out that I’m all about the pasta! Instant Pot pasta recipes have proven to be the ones that I have felt comfortable starting out with. Plus, they’re super family friendly! If you’re anything like me, then you’ll eat pasta in just about any form. Whether it’s mac and cheese or spaghetti, I can’t get enough! Carrigan follows in my footsteps as a proud pasta fan! That’s probably why I started my journey with Instant Pot Pasta! One of our favorite pressure cooker pasta recipes is our Instant Pot Spaghetti recipe! It’s an easy one-pot dinner recipe that I’ve come to depend on! Using the pressure cooker makes dinner easier around our house and I’m loving trying out new flavors. The great thing about pasta dishes is that you can put together almost any flavor combination and have a great meal! Pressure Cooker Hungarian Goulash brings stew meat to life in a recipe that is great for cold or dreary days! Instant Pot Chili Mac is another easy recipe from The Simple Parent. Pairing chili and pasta is a great way to put a hearty meal on the table! Cheesy Tuna Helper is a great pressure cooker take on Tuna Helper! Goulash is another take on Goulassh. Once you try it, you’ll be hooked! Cheesy Taco Pasta can help you do a different take on Taco Tuesday! Lasagna Casserole is a delicious way to do lasagna without all of the traditional prep. Beef Stroganoff will always be a favorite in our house! Cheeseburger Macaroni reminds me of eating cheeseburger mac as a kid! My kids love it now too! Keto Style Yakisoba Noodles is a recipe that will take me a little outside of my box and I can’t wait to try it! Creamy Chicken Pasta has a very homestyle vibe to it that I really enjoy. is a great option for Alfredo fans! Weight Watchers Mac and Cheese has been an amazing discovery as all of the adults on our family are currently working on weight loss. Pizza Pasta is a fun way to combinne your family’s favorite flavors! Shrimp Scampi is a fresh take on Instant Pot pasta recipes! Fully Loaded Mac and Cheese takes macaroni and cheese to a whole new level! Pasta Carbonara is so savory. Chicken Spinach Artichoke Lasagna might be one of my favorite recent discoveries! Sausage Rigatoni Pasta works great for people who love the savory flavor of sausage. Chicken Tetrazzini offers a tried and true fammily-friendly meal. Broccoli & Cheddar Pasta pairs some of my favorite things together in this instant pot pasta recipe! So if you’re looking for a new way to make a favorite pasta dish, don’t forget your pressure cooker! It’s seriously a great option and can change the way you approach dinner prep in your house!